Internet usage in India is not dominated by only rich people, according to a survey Internet and Mobile Association of India (IAMAI). The survey found that towns with less than 2 lakh population collectively returned a much higher number of internet users that the top four metros put together. "Two things are absolutely clear from the survey. First, the internet density is very poor in top metros in spite of awareness, education and infrastructure. 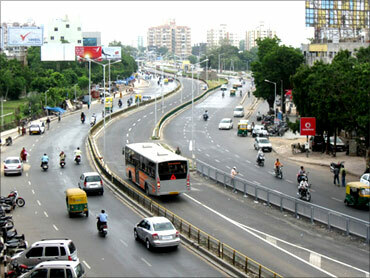 Delhi and NCR for example has only 5 million active users with a population base of 20 million. Secondly, internet is now clearly and firmly a small town phenomenon," Subho Ray , president IAMAI, said. The report reaffirms that internet is still dominated by youth in the age group of 18-35 years with college students, young men and working women being the lead users. 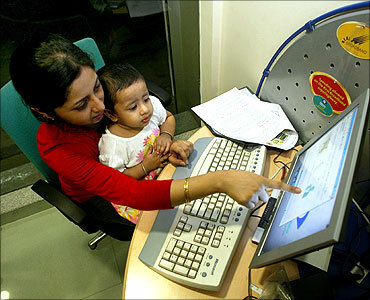 Image: A high-speed broadband internet cafe in Kolkata. 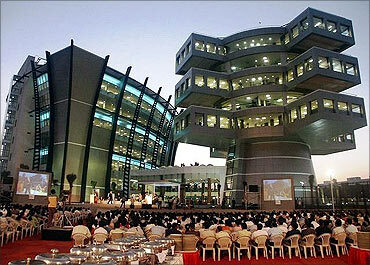 India's financial capital Mumbai, with 14.3 million users - 8.1 million in the claimed category and 6.2 million active - as of March 2011, topped the list of internet users in India. 'Claimed users' are those who said they used internet in some form (say, to check results online). 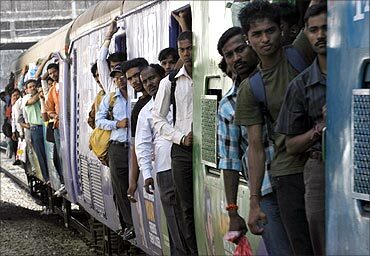 Image: More internet users in Mumbai. New Delhi, including the National Capital Region, stood second, with 6.2 million claimed and 5 million active internet users. 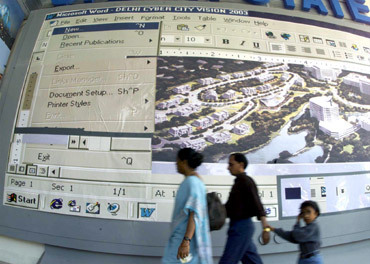 Image: isitors pass a billboard showing a large computer screen at a stall during a fortnight-long international trade fair in New Delhi. 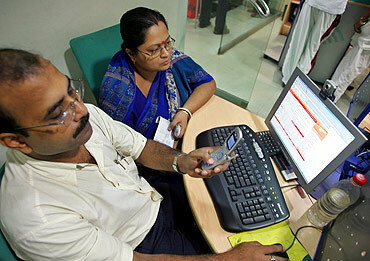 Kolkata had the third-highest number of internet users, with an user base of 2.4 million. Image: A man sends a text message from his mobile phone inside an Internet cafe in the eastern Indian city of Kolkata. 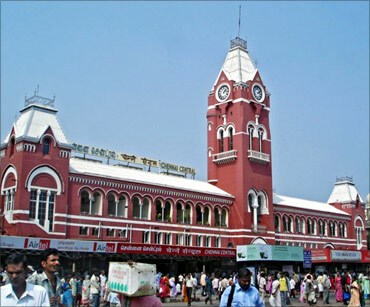 Chennai bagged the fourth position with a user base of 2.9 claimed users and 2.2 million active internet users. Hyderabad stands at fifth position with 2.2 claimed users and 1.8 active users. Surprisingly, Silicon Valley of India Bengaluru is ranked at 6th position with 2.2 claimed million and 1.7 active million users. 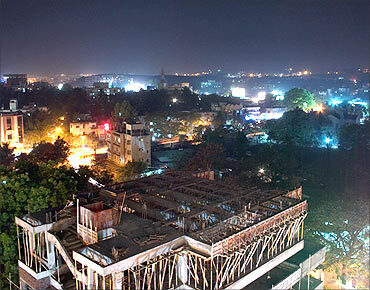 Ahmedabad is ranked sixth with 2 million claimed users and 1.7 million active users. 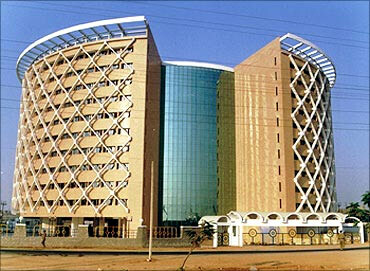 Pune is ranked 7th with 1.9 million claimed users and 1.2 million active users.